Lloyd Hall, the only public building on Boathouse Row, is a busy landmark serving as a recreation and event facility while also a popular point of departure for running, biking or rowing on the Schuylkill River and Trail. 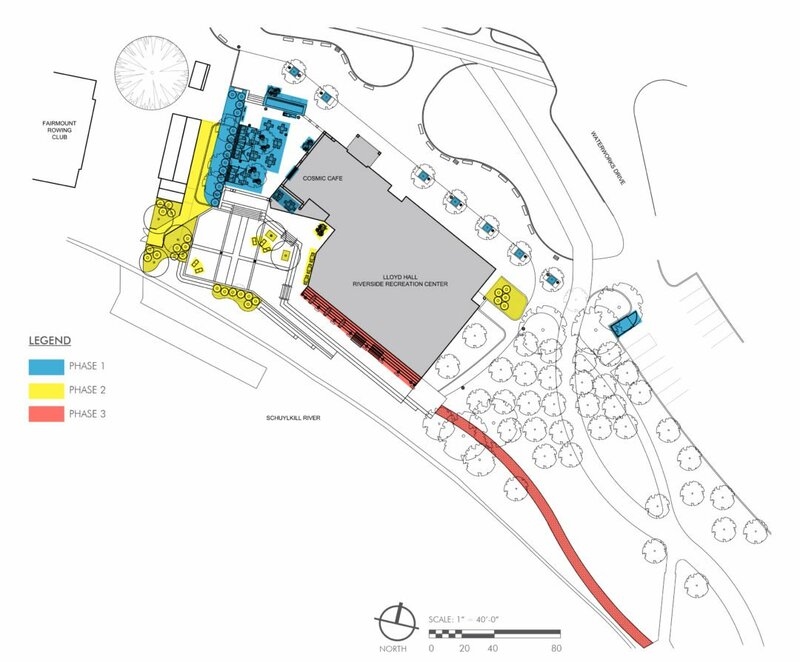 Working with the Fairmount Park Conservancy and Philadelphia Parks and Recreation, TEND extensively reviewed the landscape features and health of the 20 year old site immediately around Lloyd Hall, then used this analysis to develop a renewal masterplan that can be implemented in phases. 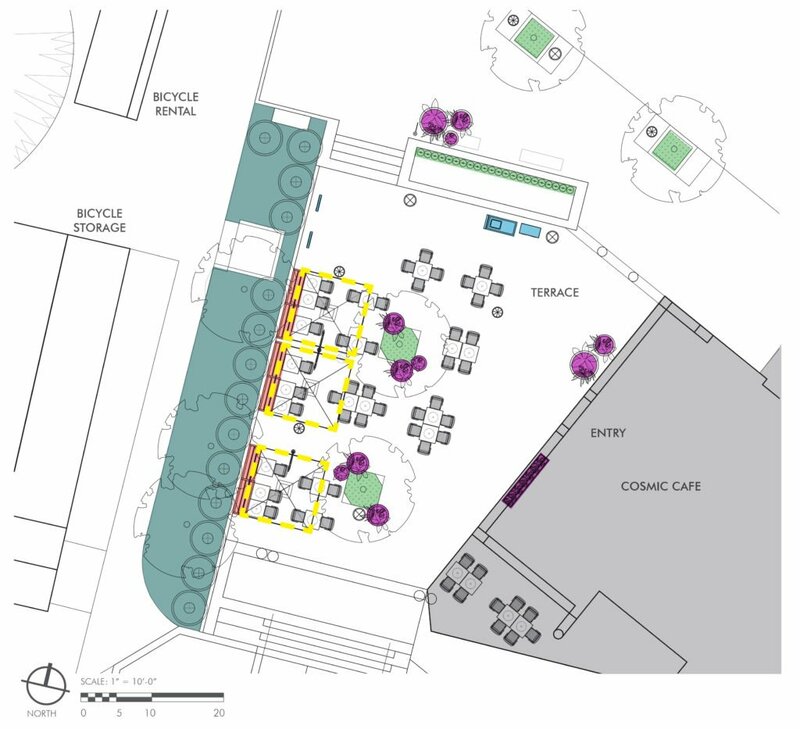 The first phase for implementation accommodates expansion of the adjacent boatyard, consolidation of rental bicycle storage, and renews the landscape and furniture of the dining terrace serving the Hall’s concessions and offering a quiet cool down along the heavily used river trail.